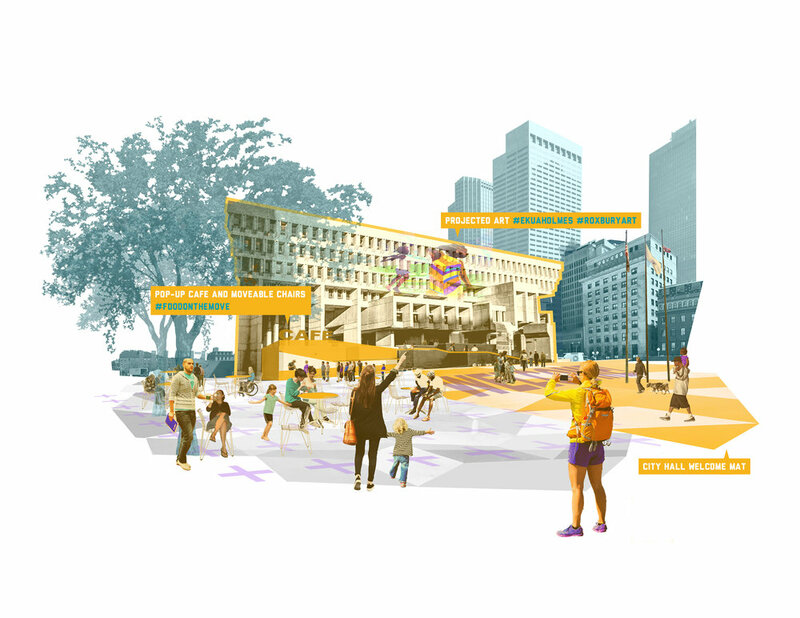 In early 2015, the City of Boston, under the leadership of Mayor Martin J. Walsh, issued an Request for Ideas (RFI)to understand the potential for City Hall Plaza, a critical public space in the Boston landscape. 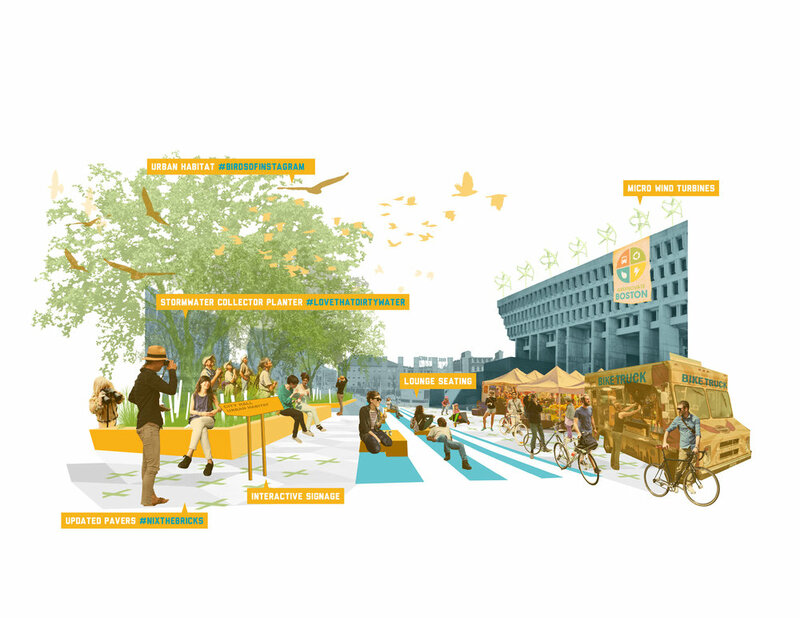 In conjunction with the traditional RFI, the city launched a Twitter campaign soliciting unprecedented democratic input from social media through the hashtag, #CityHallPlaza. Taking a cue from the city’s creative, social-media-supported RFI, the #PlazaPlus team launched a grassroots campaign that responded to the RFI on its same terms. The team created the #PlazaPlus hashtag to spur further dialogue with the public around #CityHallPlaza. The #PlazaPlus design team took to the streets hearing from community members and capturing their hopes in inspired visuals. Over 100 handwritten responses were collected and were incorporated into the team’s RFI response as an interactive pop-up book and board game. Team: Nina Chase, Meredith McCarthy, Ryan Collier, Terri Dube, Emily Goldenberg, Chris Hary, Einat Rosenkrantz, Michael Tavilla. Project supported by Sasaki.